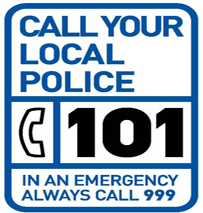 The Home Office has launched a new campaign to raise awareness of the 101 non-emergency telephone service. Running across national radio as well as digital platforms, the campaign aims to remind the public they should call their local police on 101 for non-urgent issues. Established in 2012, the 101 service now covers all police forces across the UK – including Police Scotland and the Police Service of Northern Ireland – and has replaced individual forces’ local numbers. The awareness drive will remind the public they should call 101 to speak to the police when there is not a crime in progress or risk of violence or to life. It will also encourage the public to remind their family and friends about the service. 101 takes pressure off systems dealing with emergency calls, allowing forces to prioritise their call handling processes. Nationally, more than three quarters of 999 calls received are for non-emergencies, such as people reporting that their home has been burgled, their vehicle has been stolen, or wanting to discuss anti-social behaviour in their local area.